The Kentucky Long Rifle represents the culmination of a team-engineered approach to design and manufacturing. 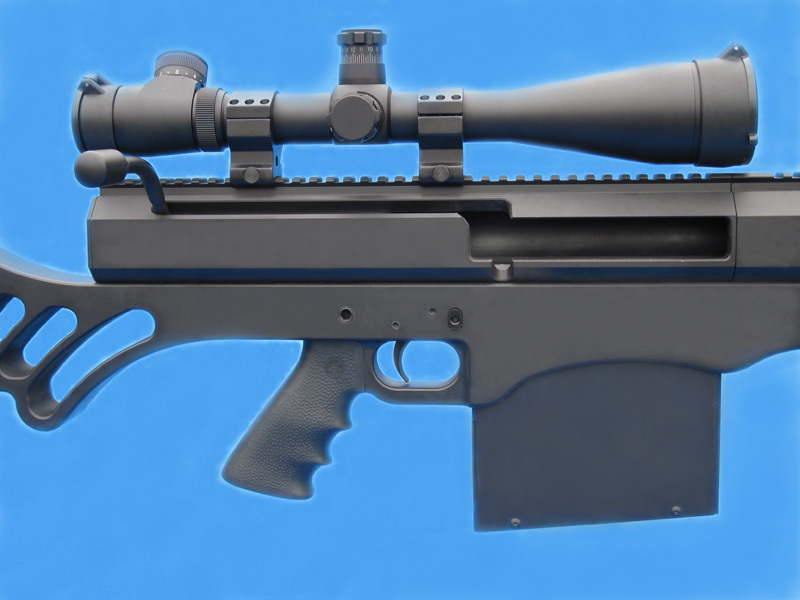 It may well be the softest-shooting 50 BMG you've ever experienced. Featuring a bolt-action receiver using a detachable 5-round box magazine with Picatinny rail for your choice of precision optics, it has an AR-style Hogue grip with innovative stock. The 6061-T6 machined rear assembly is unmatched - an internal Graco style buttstock features recoil-minimizing cushion with tension adjustment and adjustable buttplate with Pachmayr pad. 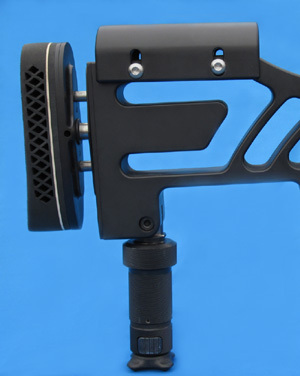 The fold-up Command Arms style monopod allows exacting and very stable platform elevation adjustment with micrometer-style control. The cheek rest is fully shooter-adjustable. Standard barrel is a tapered 29 inch M3 Mil spec - 11 degree crown and 1 in 15" twist. A precision, competition-grade barrel is available as an option. 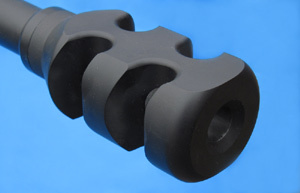 The muzzle brake is a custom four-port design with recoil-reducing deflecting ports. 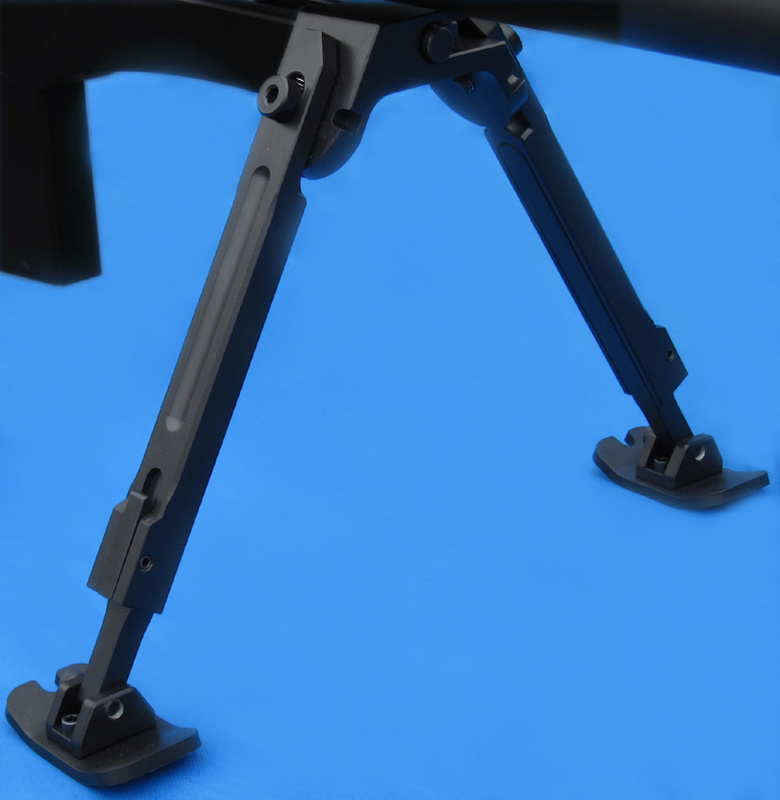 The adjustable bipod is machined of 6061-T6 aluminum and features standard swivel with quick release for easy removal. Legs extend 3 1/2" and will also fold up 90 degrees. 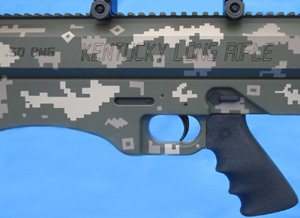 Many options are available including other Cerakote ceramic finishes, shorter barrel lengths, military emblem with personalization - call factory for details. Scope shown is optional equipment. Military and law enforcement users may be eligible for quantity discounts.